Rachel replayed the conversation in her head. She did not know what the phrases meant, but she felt certain that she had just overhead something crucial, something not meant for her, something not meant for any human ears. It was like hearing a door swing open to another world. She would never forget a word of it. Rachel opened her eyes and stretched. The peach-colored dawn light peeked through the purple curtains. A cold breeze blew in from outside. Rising, she padded across the room, the stone slabs cold beneath her bare feet. She pushed back the curtains, closed the window, and pressed her nose against the pane. Her breath made little puffs of mist against the cool glass. Gazing about, she took in her surroundings: the paper birches with their curling parchment-like bark; the gravel paths leading toward the green lawns of the campus commons that ran between the many dormitories and buildings; the myriad towers and spires of Roanoke Hall rising above the trees in the distance. A few early risers glided down the path that led to the main hall. They flew on bristleless brooms—flying devices that had about as much in common with a sweeping implement as a mundane automobile had with a horse-drawn carriage. Her roommates were still asleep. Normally, Rachel would have gone back to bed at this hour. But not today. Today, she was so excited, she could hardly keep her feet from dancing. She could no more have gone back to sleep than she could have walked to the moon. All her life, she had waited to come here. All her life, she had gazed at photographs of her parents at Roanoke Academy for the Sorcerous Arts—the best arcane school in the world. All her life, she had wanted to be part of this world, wanted it so badly that she would lie awake at night, her mind afire with hopes and plans. She dressed quickly, fumbling with the buttons in her eagerness. Her academic robes and square, black scholar’s cap were crisp and new. Flipping the cap’s tassel out of her eyes, she grabbed Vroomie the Broom from under her bed and slipped out of the room. She pelted down two flights of stairs before becoming impatient. Jumping on her broom, she leaned close over the handlebars and flew down the rest of the staircase. The windy wake of her broom scattered papers across the black and white checkered floor of the great foyer. Dismounting to open the huge oak doors, she stepped outside. Mounting up again, she gasped at the chill of the early September air as she shot upward, high into the sky. Rachel loved to fly. Every morning, she spent her first waking hour in the air. Every day, she saw the same thing: the forests, moors, rolling hills, and tenant farms of her family’s estate, Gryphon Park, and the accompanying town Gryphon-on-Dart in Devon, England. Today, for the first time, there were new things to see—her first real glimpse of the place that was to be her home for the next eight years. Flying as high as she could, she drank in every sight. The dawn colors still flamed in the east, gold and dusky rose. From up here, she could see the brown waters of the Hudson River, where they ran to either side of the once-floating Island of Roanoke. Storm King Mountain loomed on her left. She could see the path of the railway cut into its slope. Looking toward the north, on the island, she could see the rocky tor in which the evil spirit, the Heer of Dunderberg, was imprisoned with his storm imps. Farther upriver to the north, beyond the Newburgh-Beacon Bridge, lay the Shawangunks, their green rounded peaks rolling off to the west. To the east lay the green heights of the Hudson Highlands. To the south, she could see the spires of the Lower School, for elementary students, the campus of which was separated from that of the upper school and the college. Beyond that lay West Point and civilization. Everything was so beautiful in the soft glow of the early morning light, as if not only the subjects taught here but also the very school itself was magical. Up this high, the air was surprisingly still. A flock of geese passed by, getting a head start on their journey south. They flew in a V, honking loudly, their cheerful cries echoing off the side of Storm King. As Rachel gazed down at the place that she now called home, her heart swelled with an unfamiliar longing. She yearned for something to which she could not give a name, something just outside her grasp, something she could not bear to live without. From the sky, it all looked intriguing and yet alien. Yesterday morning, everything had been familiar. She had been home, at Gryphon Park. Now she was part way around the world. It had not been a hard trip. Her parents had taken her to London, along with Peter and Laurel, her older brother and sister, and the three children had stepped through a travel glass—which turned out to be a really big version of the walking glasses they used to get around town. The travel glass led to New York City. Her parents had taken them through the busy city to see a few sights: the Statue of Liberty, the Empire State Building, the gilded Temple of Apollo on Fifth Avenue, the Shrine of the Goddess Amaterasu. All five of these landmarks had been crowded with mundane folk. Rachel had seldom mixed with the Unwary, those who were ignorant of the magical World of the Wise. She had kept her shadowcloak tucked around her and stayed close to her family. The trip had not been difficult, but it had been disorientating. The worst part, the part that made her chest clench now, as she soared on her broom, had been leaving Sandra behind. For years, Rachel had imagined she would arrive at Roanoke for the first time holding her oldest sister’s hand. All those years, as she had watched Sandra leave for school each autumn, she had never bothered to do the math. Otherwise, it would have been obvious that, by the time Rachel was old enough to come to school, Sandra would already have graduated. Rachel hoped she would grow up to look like Sandra; calm, stately, and as beautiful as a swan. Or even like her middle sister, Laurel; spirited, curvy, and appealing to boys. Right now, though, she looked nothing like either of them. Her shoulder-length black hair stuck out in all directions, no matter how she tried to tame it. Like Laurel and Peter, Rachel had the almond-shaped Asian eyes of their mother, who was one-quarter Korean. (Sandra looked more like their Caucasian father.) However, she had not yet inherited her mother’s astoundingly shapely figure. At thirteen years of age, Rachel was still as slender as a boy. She was very small and very young. She was also extremely intelligent. She knew a great many things people twice her age did not. She had inherited her mother’s perfect memory. She had only to encounter a fact once, and she knew it forever. Because of this and her scholarly prowess, she had been invited to come to Roanoke Academy a year early. Rachel had read a great number of books in her thirteen years: novels, fairy tales, serious literature, nonfiction works on flight or farming or fishing. Her favorite books were the journals of her beloved grandfather, the records he had kept of his experiences, his triumphs, and his tribulations during World War II. Now that he was gone, his journals were all she had of him. As the sun rose higher, the early September day grew warm and sunny. Rachel left off flying above the school and angled her broom upward. Up higher, it was not the Island of Roanoke she saw beneath her—with its virgin forests, its open campus lawns, its august stone buildings, and its rocky tor—but Bannerman Island, the obscuration set in place to keep the mundane world from troubling the school. Bannerman Island was small and wooded, with an old mansion and a ruined castle. It was deserted. She flew a few loops, a tight spiral, and a zig-zag. Nothing was as wonderful as flying, nothing as thrilling, nothing as exhilarating. Up until her eleventh birthday, the most important thing in her life had been her pony, Widdershins. Then, a year and a half ago, her parents finally allowed her to have a broom. It had been love at first flight. Below her, something caught her attention. She dived down into the huge evergreens—her memory of a tree guide she had once read told her these were hemlocks. She bent low over the broom, gracefully dodging branches. The woods were particularly dark. Here and there, a single sunbeam broke through. These bright shafts of light looked so substantial against the darkened forest that Rachel imagined she could slide down one. She put out her hand, letting it pass through the ray, but found nothing but dancing dust motes. Ahead, a single large sunbeam fell upon the face of a statue that stood otherwise in shadow. Rachel flew closer. A strange sensation overcame her, as if her heart was suddenly too large for her chest. The statue was of a woman with her head bowed. She wore robes that demurely draped over her. From her back sprouted wings, like the wings of a dove. The air was still, but the bough above her head bobbed in the silence. Rachel stood before the statue and traced the moss that streamed like tears down its cheek. A hush had fallen over the glade, a feeling of expectation. She felt as if she had forgotten how to breathe. For the second time that morning, a tremendous sense of foreboding came over her, but what it foretold, whether good fortune or ill, she knew not. Reluctantly leaving the statue, Rachel took to the air. Enough sightseeing, she wanted her new life to begin. Zooming back to school, she went in search of the other flying children she had seen from her window. She spotted them flying along the gravel path between the dorms. There were three of them—blond girls about her age. 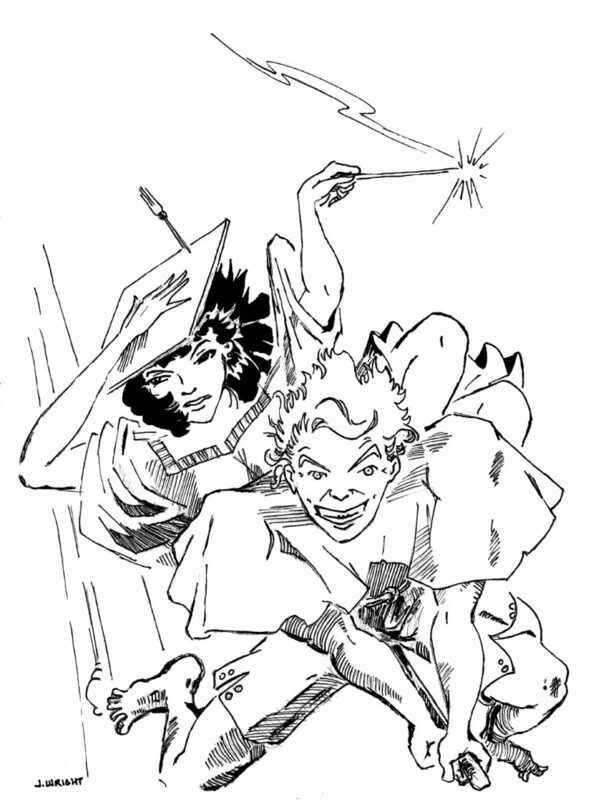 They rode travel brooms. Their brightly-colored, sporty, metal flyers had handlebars, seats, and foot rests like a bicycle. Toward the back end of the flying device, the main shaft swept upward a hand’s span, ending in an elegant metal fan consisting of three large blades that stuck out behind the device like a horizontal peacock tail. Travelers were practical and sturdy but not as maneuverable as Vroomie. The first girl had striking green eyes and her straw-colored hair was pulled back by a gold-flecked headband. Her face was narrow with a spattering of freckles. The second girl was quite pretty, though she wore lipstick and dark eyeliner, which Rachel did not think looked attractive on someone so young. She had an intelligent look to her face. The third girl was plainer and heavier than the other two, but her clothes were of excellent quality, with pearl buttons on her white shirt and sapphires in her ears. All three girls were dressed in subfusc—the most modern of the three forms of dress allowed at Roanoke—white button-down shirts, black skirts, long black ribbons that hung down from their necks like thin split ties, and black half capes. They looked so smart in their handsome outfits, gaily chatting together. Occasionally, one let go of her high handlebars to gesture expansively. Girls who liked flying. Perfect for new friends! Rachel had never had a proper friend. She was very fond of the grandson of the cook at Gryphon Park, but Taddy only visited his grandmother for a few weeks each summer and at Yule. She also adored Benjamin Bridges, the son of her father’s close friend, but again, the Bridges rarely came over. She often visited the tenant farmers on her family’s estate, but their children had school to attend and chores to do. They seldom had time to play. Ever since her brother Peter left for school three years ago, Rachel had spent her free time by herself. Her days were spent wandering the long halls of Gryphon Park or roaming over the extensive grounds. She loved the enormous mansion as if it were a friend, but it was not the same as having a person for a friend. She had spent her time with nothing for company except her books, her pony, and, more recently, her broom. Of all the things she had anticipated about coming to Roanoke, having a friend was the one she looked forward to the most. In the storybooks, school children had inseparable friends. Could these girls be destined to be hers? Her heart thumping hopefully, Rachel flew next to the other children and waved. The three girls turned and regarded her. Rachel’s stomach tightened. She did not like their disdainful expressions. She gave them a big smile. When none of them returned it, the knot in her stomach grew tighter. It tightened six times more when she realized they were staring at her broom. Rachel’s broom was not a light weight aluminum device made by Ouroboros Industries, like those the other girls were flying. Hers had been constructed in the old-fashioned way, by hand. The main shaft was deeply polished dark walnut. The ten, slender blades of the fan were alternating slats of mahogany and cherry wood. The shiny black leather seat was low to the shaft, to allow her to lean close and hook her feet up behind her if she wanted to steer manually; instead of using the levers next to the short handlebars. The fastenings, handlebars, and footrests were of black cast iron and shiny brass. In the early morning light, the three shades of reddish and dark wood gleamed brightly. “Marley…as in Aaron Marley?” Rachel asked. Pain pierced Rachel’s heart. Nothing had as much power to hurt her as insults to her broom. But she did not let it show. Keeping up a calm mask was a trick she and Sandra had learned from their mother at a young age. As soon as it left her mouth, Rachel realized this also was not the right thing to say. But then, they had insulted Vroomie. Rachel kept up her mask of calm. Inside, she felt crushed but also sadly amused. This last slight had missed its mark. True, she was not royalty; however, Rachel’s father was The Duke of Devon and her proper title was The Lady Rachel Griffin. Duke was the highest of noble ranks, second only to royalty, and the Griffins could trace their lineage back sixty-four generations, all the way back to Hyperborea, during the Roman Republic. Since the Wise lived much longer than mundane folk, sixty-four generations was a very long time indeed. Even the Dutch and Japanese royal families, the oldest royal lines in the world, could not trace their lineage back beyond the Middle Ages, much less the Starkadders of Transylvania or the Von Dreads of the Kingdom of Bavaria. She did not know who the Romanovs were, unless the girls meant the family of the long-deposed Russian Tsar. She considered explaining but thought better of it. Such claims smacked of boasting. One did not win friends by boasting—well, not the sort of friends she wanted anyway. Rachel looked at the three girls again, with their gold-flecked headbands and mother-of-pearl buttons. Realization dawned. These were American nouveau riche, famous for flaunting their wealth. Coming to riches so recently, they did not understand true elegance. Rachel’s family owned a town, but the Griffins did not parade around with jewels on their robes. They had far too much class for that. Not that Rachel disliked Americans. In fact, she much admired the spirit of bravery and independence they exhibited. But she was beginning to fear she might not like these particular Americans. She felt sorry for these girls. But the sorrow was tinged with a fear. Perhaps she was not going to find friends here after all. The four of them emerged from the forest and flew onto the emerald green lawns of the commons, the fields that stretched from the main building down the length of the campus to the lily pond. It was easy to remain unfazed while someone insulted her; that was part of her mother’s training. It was more difficult to keep up the brave front once the initial onslaught was over. Sometimes, it felt as if the emotions she had deflected swung around like a boomerang and hit her from behind, bruising her all the harder on the return. She bent low and gripped her handlebars more tightly. She suddenly felt very lonely. With the forest and the western dorms behind them, the main campus stretched out in either direction. To their left lay the reflecting lake with its small pleasure boats. The boats had eyes painted on them and could move of their own accord. On the far side of the lake rose the main building, great Roanoke Hall. The dining hall was in the center. The right side housed the upper school; the left side housed the college. Roanoke Hall resembled the Chateau de Chambord, which Rachel’s family had visited in France. Like Chambord, the hall had been designed by the great sorcerer Leonardo da Vinci. It was a massive castle with enormous round towers. Dozens of lesser spires and gables graced the roof. Six bell towers rose above the rest. It seemed to Rachel as if the towers and spires called to her, as if they were whispering, asking her to fly between them—preferably at high speed. She gripped her handlebars tightly, smiling, eager to accept the challenge. The forest flanked the main chateau and the reflecting lake. Through the trees—birches and hemlocks—she could see the towers of the other dormitories, including Dee Hall, where she secretly had hoped to be assigned, even though generations of her family had all lived in Dare Hall. 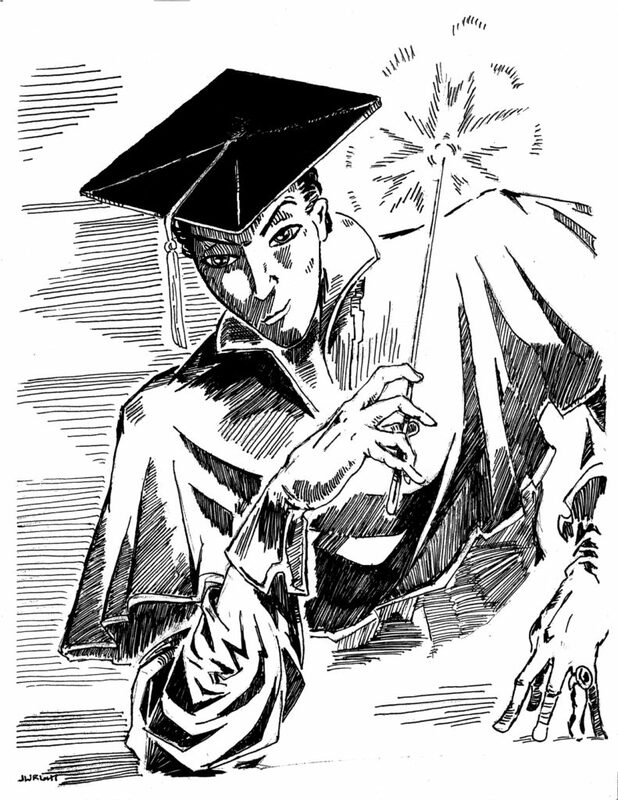 Each dorm was devoted to students studying one of the seven Sorcerous Arts and had its own character and nature. To the right, the commons stretched several hundred yards to a lily-covered pond. On the far side of the lawns were walled gardens, ivy-covered out-buildings such as tool sheds, the gymnasium upon which grew purple wisteria, and an Oriental garden. She could also hear the creek that ran through the woods beyond. On the closer side of the lily pond, in the distance, stood fountains, statues, and a tall, domed memorial. In the distance, beyond the pond, she could make out a double row of trees leading to the docks. Near the reflecting lake, an astonishingly handsome boy with golden curls was chasing a long red and gold ribbon that whipped through the air. He charged forward, laughing loudly as he went. The other girls flying with Rachel stared at him, mesmerized. Rachel turned away with a pang of regret. The boy looked so charming and energetic, but there was no point in joining the gaggle. With so many pretty girls to choose from, a boy like that—handsome, famous, and rich—would never pick for a friend someone undersized and awkward with people—like Rachel. Instead, she zoomed forward and looked more closely at the dragon, as it zig-zagged along the edge of the reflecting lake. Its long serpentine body, which sometimes seemed to be ten feet long and sometimes twenty, was covered with soft golden fur with ruby scales on the underside. Its frippery—immensely long whiskers, tail puff, and the mane that ran down the length of its body—were flame red. Short horns curled above its wolf-like head. It was a lung, a river spirit from the Far East. Only, according to the News Glass, no one had ever seen one like Sigfried’s. The dragon turned and looked at her with its large jade eyes. Their gazes met. He looked so intelligent, so mentally active, Rachel could not help smiling. “Flying brooms! Wicked cool!” Sigfried exclaimed behind her. He had an English accent, too, though it was working class. Still, the familiarity of it made her feel more at home. Turning, Rachel saw him peering closely at Belladonna’s red bristleless. Rachel burst out laughing. Behind her the three blondes giggled, but they seemed uncertain, as if they were unsure of what to make of him. Watching the girls gush over the famous boy amused Rachel. She did not like them, but she had to admit they made a pretty picture, all giggling and blushing in their smart black and white uniforms. She bet the boy liked it. Rachel herself was not much interested in boys, except for her enduring crush from afar on John Darling, the son of world famous James Darling, Agent. With a start, she realized that John, who was one of the school’s stars at Track and Broom, must be somewhere on campus. The thought made her slightly breathless. Rachel laughed again. The boy was outrageous. If she had a friend like this, she would always be laughing. The other girls did not seem to be catching on. “One of you could give him a ride,” suggested Rachel. The other students turned. The gazes of the three young women were not friendly. Rachel blushed. She had not meant to draw attention to herself. She started to pull back, but the boy gave her a grin so bright that the gleam from his teeth could have blinded sailors on passing flying ships. Perhaps, he, too, enjoyed hearing a familiar accent. “How disappointing.” Sigfried scowled in annoyance. Rachel examined the boy very carefully. Not just now, as he stood scowling, but also as he had appeared in her memory over the last few minutes. His huge impish grin suggested that the crazy things he said were all in fun—a show of boyish enthusiasm, as when her friend Ben Bridges described, complete with leaps and imitation cantrip gestures, the spells he would have cast had he fought the Terrible Five during the Battle of Roanoke, twenty-five years ago. However, there was something else in the eyes of this boy, a glint of desperation—like a sailor at sea in the midst of a storm with no sail, no anchor, and no port in sight. Sigfried Smith had grown up as an Unwary, Rachel recalled from a myriad of news glass articles. He had lived in the mundane world of vacuums, automobiles, and television, without bwca to clean his house, without flying umbrella carriages, without magic. His calm universe of orderly physics had been turned upside-down earlier this summer, when he had come upon a dragon in the sewers of London. He had slain the beast, gained possession of its hoard, and catapulted himself into instant fame in the World of the Wise. Now, everything he had previously known had suddenly been yanked from him. The very laws of nature had turned out to be wrong. He was adrift, exposed, and unprepared. Rachel could not imagine how it would feel if she discovered that everything she knew to be true about the laws of the universe was incorrect. At the very least, she would be terrified. She doubted she would take it as well as this young man had. Her heart went out to him. “Duh! Stony Tor is outside the school grounds.” Cydney looked at Rachel as if she were a particularly unpleasant bug. She turned to where Sigfried stood on the damp morning grass, his bare feet sticking out from under his brand new robes. He looked so eager and so filled with enthusiasm. Similar to laughter and yawning, Rachel realized, enthusiasm was contagious. Like two dappled roads cutting through a dark forest, the dilemma branched before her. Should she take the safe path and say nothing? Or take the unknown path and risk leaving school grounds—which was surely against some rule—to forge a bond with a boy she had just met? As when flying, she made her decision in an instant, taking less time to deliberate than it took a flame to flicker. Rachel and Sigfried flew across the lawns, over the lily pond, and down the tree-lined pathway leading to the docks. Green boughs formed an arch above the mossy walkway. The sun shining through the leaves bathed them in a verdant light. The archway of a ruined castle loomed before them. Rachel shot through it, bursting into the brilliant sunlight. Grass-clogged steps led from the ruins of the ornate castle to the dock on the brown waters of the Hudson. In a burst of gold and scarlet, the dragon flew up beside them. He moved effortlessly through the air, almost as if he were swimming. Angling Vroomie upward, she flew a full Immelmann loop, then spun sideways—upside-down to right-side up again. That covered “turn upside down” and “spin.” Next came: the butter churn. Spinning while diving was not a move Rachel had practiced, certainly not while carrying a rider. She paused and pictured it in her head, calculating the forces involved. Confident she could pull it off, she dove. They plummeted, spinning as they went—her best imitation of a butter churn. The dragon flickered along beside them like a flag in the wind. “I heard two talk last night,” Rachel blurted out, flipping the air cushion lever, so that the air became quiet around them. “Then Lucky and I could be brothers.” His voice sounded so fierce that Rachel twisted on the broom and looked over her shoulder. Sigfried’s eyes gleamed with fiery intensity. “Oh!” Rachel said, delighted that the boy was so fond of his furry serpent friend. The dragon flew along beside him, his long whiskers flickering as he gazed fondly at his master. Rachel snorted, but underneath, she was grateful. He had not laughed. No one else had ever taken seriously her desire to know everything. “What about boring things?” Sigfried asked with great seriousness. Ordinarily, Rachel refrained from telling people her deepest desires. Sharing them made her feel as if she were opening her rib cage and trusting her beating heart to other people’s grubby fingers. This time, though, the truth came tumbling out. She flipped off the air cushioning enchantments, as they interfered with precision flying, and flew up the coast, the wind in her face. As she rounded an outcropping of rocks, she skimmed too close to the river. The enchanted wake of the steeplechaser sent up a peacock’s tail of spray. Cold drops fell on the bare skin of her neck. She squealed, as much in delight as in dismay. Sigfried shouted in surprise. Thick forests of hemlocks grew along the shore. Beyond the trees rose the rolling hills that made up the northern portion of the island. “So, Sigfried, ahead of us…” she called. Above the hills rose Stony Tor, bald and rocky. Rachel circled it, making sure to glance at the entire landscape. Any detail her eyes fell on now, she could pull up in her perfect memory and examine at her leisure. On the far side of the tor, a deep valley lay between its stony slope and the hills beyond. At the bottom, late summer flowers bloomed in a grassy meadow. The steep sides seemed to call to her, and Rachel could not resist. She dived down at high speed, slingshotting up the far side, Siggy whooping behind her. As she circled back, an odd pile of boulders on the tor caught her eye. She flew closer. A cave mouth had been sealed with very large rocks. The stones surrounding the cave were carved with runes and arcane symbols. The place smelled of ozone. “I bet this is the Heer of Dunderberg’s prison.” As she spoke the name, thunder crashed. The peal rolled out from behind the pile of boulders. “It heard us!” she cried. Shrieking in terror, the two of them sped away. Rachel did not bother flying up and over the forest this time. She shot through the trees, darting around trunks at breakneck speed. Sigfried’s grip around her waist grew tighter and tighter. Flying through the woods at top speeds proved as much fun as barreling down long corridors and negotiating spiral staircases. Rachel’s favorite flying was always the kind that required split-second decisions. 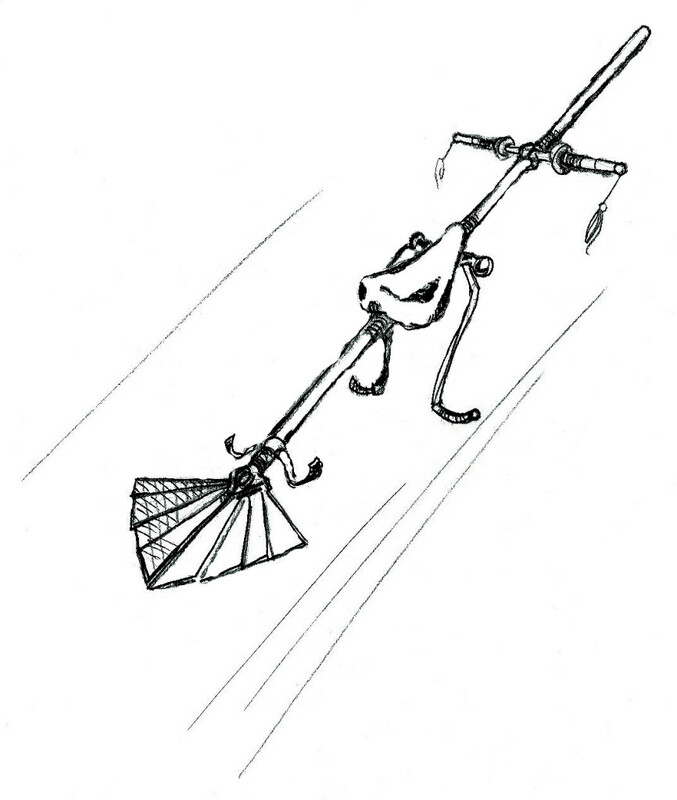 She pictured everything around her, calculating how moving the levers or leaning her body to the side would affect the torque of the broom, the speed of her progress, the sweep of the tail fan. Siggy’s grip became so tight that Rachel could hardly breathe. When they missed striking a gnarly oak by a splinter’s length, he screamed. “Don’t be such a baby,” Rachel shouted cheerfully. The moment the words left her mouth, she mentally kicked herself. Mocking her new friend was as bad as bringing up the subject of Aaron Marley. Apparently, this making a friend business was more difficult than she had expected. To her utter delight, Siggy was not daunted. “Right…” he muttered hoarsely, but the tone of his voice implied that he had accepted her implied challenge. He did not scream again, even when she deliberately took them directly at a giant oak, only swerving within a few inches of the trunk. She could feel him tremble, but he remained stoically silent. Had she been alone, she would have flown even closer before she swerved, but she dared not put her passenger at risk. As Vroomie moved effortlessly, its cherry and walnut blades spreading and retracting as she moved the levers, Rachel grinned. She had not been boasting when she told the blonde girls that hers was the better broom. Ahead, trees grew so close together that they formed a vast bark wall that marked the wards of the school. Rachel veered to the west and flew along the coast. As she rounded the rocky point, approaching the ruined castle, a flash appeared on the docks—a bright, narrow pillar of light that went up as far as the eye could see. It swirled, quicker than the eye could track, forming bones, organs, and then flesh, all made of glowing whiteness. Color flooded in, and a man stood there. He walked toward the stairs and the path to the school. He was dressed in an Inverness cloak. The half-cape along the back billowed in the breeze. His dark hair was drawn into a pony-tail. Around his neck, he wore a medallion showing a lantern surrounded by stars. A feeling like a thousand spiders crawled along her spine. Like the decision of which lever to pull when flying at an oak at thirty-five miles an hour, a choice lay before her, and she had less time to choose than it took flame to flicker. The man scowled, muttered his thanks, and disappeared, turning into a narrow, tall pillar of light. “It’s called jumping,” Rachel replied, only barely paying attention. She shot through the arch and barreled down the green wooded way, pushing her broom as fast as it could go. The trees whipped by. Wind streamed through her hair, pulling out her barrettes. The two children sped across the commons, passing the gym and the walled garden. The doors of the main building were open for breakfast. Rachel shot by the startled proctors, rocketed through the dining hall, glanced from side to side, and zoomed out the other side into the grassy interior courtyard. As she soared upward over the many spires of Roanoke Hall, she reviewed her memory of the children eating breakfast, rapidly examining each face in the crowd. The girl she sought was not among them. Rachel flew over the lawns of the commons again, still searching. She did not know which dorm Valerie lived in. If the girl was inside, Rachel would have no way to find her. 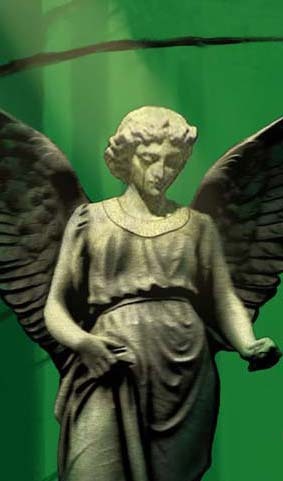 At the far end of the commons, she circled the high dome of the Taliesin the Brave memorial, flew over the fountain that looked like a young tree with water cascading from every branch, and buzzed the lily pond—sending the sea fairies who lived therein diving for cover. Wind rushed by her, a low roar in her ears. Behind her, Siggy whooped loudly. There was no sign of Valerie Hunt, but Rachel was undeterred. She seldom grew frustrated when she had put her mind to something. Below them and to the right was a walled garden. Purple blooms of wisteria grew along the trellis-like fence that made up part of the stone wall. In the center of the garden, mosaics surrounded a marble basin. In the middle of the shallow pool, a fat-cheeked cherub with a curling fish tail blew a fountain out of its trumpet. To one side, sitting on a bench, two girls pored over the latest issue of Wise Wear magazine. One was pretty, with short flaxen hair, glasses, and a squarish jawline. She had a pile of notebooks next to her. 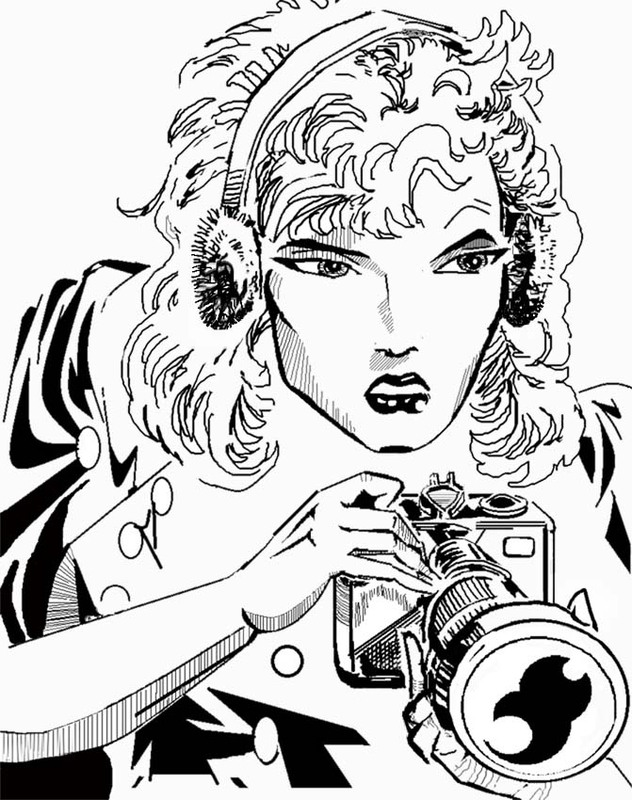 An old-fashioned camera on a red strap hung over her shoulder. A silver and black Norwegian Elk Hound, with thick fur and a curling tail, lay with its muzzle resting on her feet. Rachel recognized her as Valerie Hunt. The other girl was gorgeous with long, wavy blonde hair, impish cheeks, and eyes that seemed almost luminescent. She also was the most well-endowed young teen Rachel had ever seen, but this might have been because her black and white subfusc outfit had been tailored to display her figure to best advantage. Her white blouse strained at the buttons, and her black pleated skirt was shorter than the knee-length specified by the school handbook. Out of the corner of her eye, Rachel noted that Siggy had noticed, too. When the young woman stood up and bent over, his face turned red, and he averted his eyes—an unusually knightly response from a low-born boy. Rachel understood that boys liked curves. For Rachel’s part, she found the girl’s display vulgar. If she had such a figure, she would wear baggy robes. The idea of being ogled by boys terrified her. Still, Sigfried’s reaction intrigued her. Rachel knew her own ideas of decorum were in a minority. She had spent her early childhood with her grandparents, who had been born during the reign of Queen Victoria. How had a boy raised in a horrid mundane orphanage developed such an old-fashioned sense of propriety? “Were there any girls at the orphanage?” she asked curiously, as she zoomed toward the walled garden. “Do you like girls?” she inquired teasingly. Rachel landed in the courtyard. Sigfried leapt from the broom, threw himself down on the mosaics, and kissed the ground repeatedly. The two blond girls stared at him in fascination. “How do you know he’s bad?” The second girl looked up from the pages of Wise Wear, her large luminous eyes fairly dancing with curious amusement. “But he wasn’t an Agent?” asked the second girl. “Are you sure?” she asked, even more curious. “If he were an Agent, I would have known,” Rachel replied firmly. Rachel blinked. She had only thought as far ahead as warning Valerie. “Who are you?” Siggy asked the second girl, averting his eyes so as not to stare at her enticingly-displayed charms. Seated on the bench, Valerie watched his efforts and pressed her lips together, amused. “Salome Iscariot.” Rising, the lovely blond jutted out her hip and rested her fist upon it. “Of Iscariot Enterprises?” Rachel stepped closer, intrigued. “You’ve heard of her?” Siggy said, but he looked at Valerie, who gave him a pretty smile. He returned it with a blindingly bright smile of his own. She blinked, a bit dazed. Sigfried scowled darkly at Salome’s complaint about her mother, as if the comment offended him personally. “I am Lady Rachel Griffin, daughter of The Duke of Devon,” Rachel replied primly, aware that her hair had escaped its barrettes yet again. “The one you were telling me about?” Valerie opened a notebook and flipped through it. Both girls squealed with glee. They moved close to him, asking a thousand questions about his life, his dragon, his gold, his fight against the dragon in the sewer. He answered with a casual, careless attitude. This only fueled their fervor. Turning to look for the dragon, Rachel noticed for the first time that another girl sat in the walled garden. Her long pale golden hair floated about her like spun sunlight. She had the most lovely face Rachel had ever seen, like a princess from a storybook, with blue eyes, a pert little nose, and rosebud lips. This new girl sat reading a textbook, her expression so sadly sweet that it almost hurt to look at her. 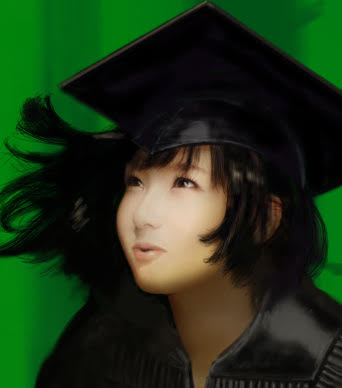 Like Rachel, this other girl was dressed in full academic black robes with a golden crest over her left breast. Golden crest meant royalty—she was a princess! Rachel had the right to wear a silver crest, but her parents had only put crests on her very best robes. Peering closer, Rachel frowned in consternation. She had memorized Burke’s Peerage and Registry of the Noble Wise, but she had never seen this crest before. What nation had an emu on their heraldry? Rachel checked her memory. She had been facing that direction but had not seen a flash. But if Sigfried was lying about the flash, why did he think the man had returned? They ran off. Rachel sighed. From her huge, mischievous grin, Salome obviously thought she had scored points by getting the famous boy to herself. Rachel did not care. Siggy was her first friend, true, but he was not the kind of boy she would want for a boyfriend—too wild, for one thing. She did care about Siggy’s safety, though. If the man searching for Valerie was willing to impersonate an Agent, what else might he do? Rachel described him as best she could, wishing she could draw. She could see him so clearly, could zoom in on every tiny detail, in her perfect memory. Without a thinking glass, however, she could not convey what she had seen to someone else. Rachel, whose family owned an estate with a dog kennel that bred hunting hounds, knew exactly what the proper name for a female dog was. She began to giggle. Siggy and Salome came running back, faces flushed. Salome’s chest rose and fell rapidly. “The guy is coming!” Siggy repeated. “W-what should I do?” Valerie asked, her face going pale. Leaning down, she pulled a knife from her low boot and held it ready. Fear gnawed at Rachel’s stomach. She thought and thought, but this was not like flying. She did not have a set of skills for hiding from bad men. “Shouldn’t we go get a proctor?” she asked. “Never go to the grown-ups!” Sigfried cried fiercely. “They will blame you, even if it’s not your fault. They’ll probably lock you in a closet and take your food away. Grown-ups are like that.” Beside him, Lucky the Dragon bobbed his head in agreement. “You may slip in here, if you wish.” From behind them, the beautiful princess stood up from the bench. She spoke with a slight Australian accent. Her speech had an air of formality, her words measured and clearly enunciated. Rachel was startled, upon glancing her way again, to be struck just as forcefully by the girl’s ethereal beauty as she had been the first time. It was like the beauty of a lovely summer day. Rachel was reminded of breathing in the perfumed air when the lavender farms on her family’s estate were in bloom. The girl’s beauty must be a supernatural thing, Rachel decided, such as the gift fairies occasionally bestowed. Valerie ducked in and ran down the staircase. “What’s in there?” Siggy asked. “Is it safe? Will it eat her? Rachel’s eyes grew large. She had only ever seen purses with a space the size of a room inside. Siggy looked skeptical, as if he thought the princess were teasing him. Rachel shook her hand, curtseying. With a shy yet brave smile, the princess curtseyed in return. Salome made a noise of amused impatience. “That’s not fair!” Siggy said crossly. He stomped on the water in the little marble pool. Droplets of water sprayed up. A few struck Rachel’s cheek. The two girls shook hands. Nastasia’s face went a bit pale. She withdrew from the other girl’s grasp. Rachel thought she looked slightly ill.
“Nonetheless, you are a commoner,” the princess replied, not unkindly. “I am much richer than you could ever dream of being, girl from a country I’ve never heard of!” Salome announced, her eyes flashing. She waved her fingers at the princess, as if shooing her away Her fingernails were elegantly painted in a blue and black paisley design. “Undoubtedly true, Miss Iscariot. I never dream about mere money, and beyond the borders of my own kingdom I am a pauper, as no foreign nation recognizes the currency of Magical Australia. That fact is, however, irrelevant. Money cannot buy blue blood, nor does a lack of wealth diminish it.” The princess spoke graciously, unfazed by the other girl’s show of temper. “Royalty comes with duties and obligations not required of those of common birth. Though we enjoy many advantages, our lives are not our own, but belong first to our country and our subjects. No matter how much wealth your family gathers, it cannot make you royalty, nor even nobility. Rachel donned the mask of calm she had learned from her mother. Underneath, she danced with mirth. Salome was so outraged. Most likely, she had never met anyone who did not treat the daughter of the Iscariot financial empire as royalty. Rachel’s sympathies were with the princess. She did believe in judging men on their merit, but, as the daughter of a duke, she also understood the obligations that came with rank, something that egalitarian Americans—despite their many other charming qualities—often failed to grasp. Footsteps rang against stone. The man with the pony-tail strode into the private garden, his Inverness cloak billowing. He looked around, frowning. His gaze fell on Rachel. “Where is she now?” The man spoke in a pleasant baritone. “She went to the loo,” Rachel lied. “Of course.” The princess held out her hand. The man’s pupils widened at the striking beauty of the picturesque young lady. “Her father!” Salome exclaimed, shocked. When the man glanced her way, she managed a rather weak smile. The false Agent left without another word. The children gathered around the box. “Should…we open it?” Rachel asked. “But…that man is evil!” Rachel insisted. “I’ll open it.” Salome snatched the box from the princess, whose eyebrows arched in indignation, and opened it. Inside was an emerald and gold brooch shaped like a scarab. Rachel took a step back. The jeweled bug made her uneasy. “Your dragon talks,” Salome murmured, her eyes larger and more luminescent than ever. She reached for the box. The princess put a hand out to halt her. Valerie stopped. “I think that choice should be up to Valerie,” Salome objected tartly. The box trembled. The scarab darted into the air and straight at Valerie. Darkness spread from it. Shouting, Siggy leapt in front of Miss Hunt. It struck him in the chest. He shouted in pain and staggered. The scarab tried to dart around him. Sigfried dodged in its way. Rachel wanted to help, but her limbs refused to obey her. She had no magic yet, no flute, no familiar. What could she do? With a deafening roar, Lucky the Dragon lunged at the sooty cloud containing the scarab. A plume of fire shot out of his mouth. Darting forward, he scooped the burning brooch into his mouth. The children cheered. “Mot to mget it out of here mirst.” The dragon slithered up into the air and over the wall. The dragon was the orphan boy’s only family, Rachel realized suddenly. Freed from her paralysis, she grabbed her broom. Sigfried swung up behind her. Ahead, Lucky flew in a zig-zag motion, engaged in an internal struggle. Across the commons, students looked up, startled. Rachel scanned the lawns. Everyone was gawking fearfully. None of them came forward to help. Out of the forest strode a college student. He was extremely tall. His cold, discerning gaze took in everything, as if he were surveying the campus with an eye to its defensibility and finding it wanting. Rachel nearly lost control of her broom. If the princess was the most beautiful girl Rachel had ever seen, this was the most exquisite specimen of a male. He was startlingly handsome and perfectly built. The sunlight glinted off the red highlights in his dark hair. He wore full black robes and black leather gloves so thick they practically looked like gauntlets. Upon his chest blazed a golden royal crest. He strode across the lawns toward them. Other students scurried out of his way like mice before a tiger. Lucky the Dragon somersaulted onto the green lawns, twisting and bucking. Opening his mouth, he regurgitated the jeweled scarab. Darkness still billowed from it. 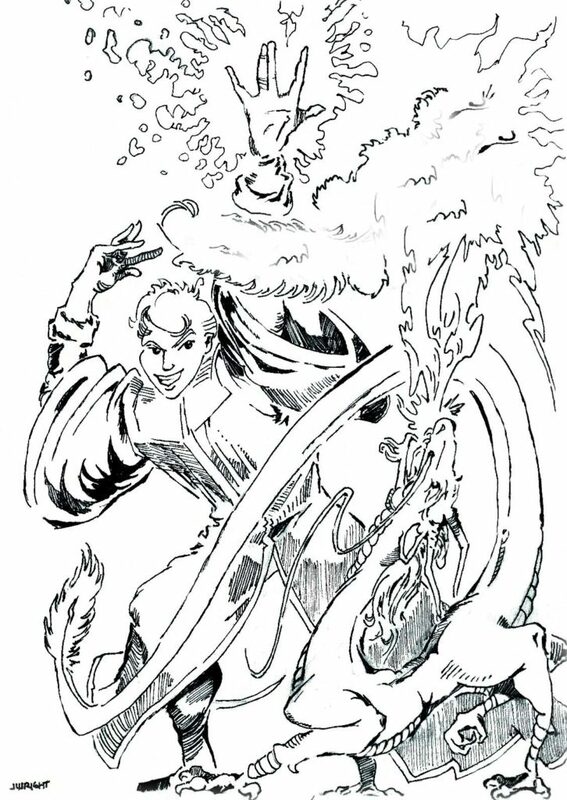 In a single fluid motion, the prince pulled out a black and gold fulgurator’s wand and shot the flying brooch. Crackling white fire burnished with a golden tinge leapt from the sapphire at the wand’s tip. Rachel leaned forward. She knew about Eternal Flame, but she had never seen it. Tended by the Vestal Virgins, it burned the wicked but did not harm the innocent. The blast struck the scarab. The metallic insect twitched and became rigid. Rachel waited with bated breath. The prince shot it a second time, a bolt of lightning leaping from the sapphire tip. The scarab brooch lay charred upon the grass. Kneeling, he poked it with his wand. As the last of the darkness dispersed, he ran a finger through it, brought it to his nose, and sniffed. Raising his wand, he gazed speculatively toward Lucky. Rachel shouted and waved her hands. The prince glanced up at her, frowning. Their gazes met. Something Rachel had never felt before, akin to a shiver but both more wonderful and more terrible, passed through her. He nodded and turned away, lowering his wand. “Wow! Who is that?” Siggy asked, his voice aglow with hero worship. Even without seeing the details of the crest on his chest, Rachel knew the answer. There was only one person he could be. 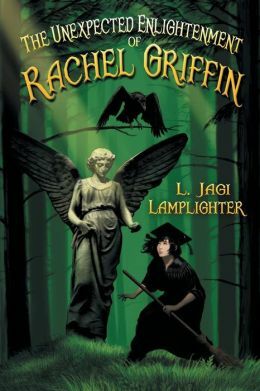 See The Unexpected Enlightenment of Rachel Griffin on Amazon. Join the Roanoke Academy for the Sorcerous Arts Facebook group.